The biggest digital storefront for comics just announced a new flat-rate service that lets users read through thousands of stories for $6/month. The press release doesn’t specify as to how wide the gap will be between new releases and the most recent installment of ongoing titles on the service. 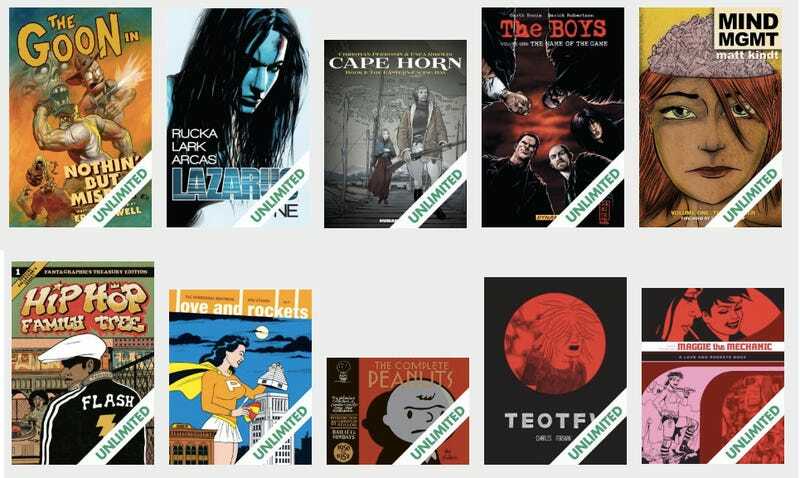 But it seems safe to assume that, as with Marvel Unlimited’s eight-month gap, publishers participating in Comixology Unlimited won’t curate titles all the way up to their freshest offerings. Nevertheless, this is already an impressive selection of series which makes some of the best titles being published today available to try for a very good price.